A willful king … a prophetic ghost … family betrayals … revenge! It sounds like a play by Shakespeare, but it’s a drama about the future. 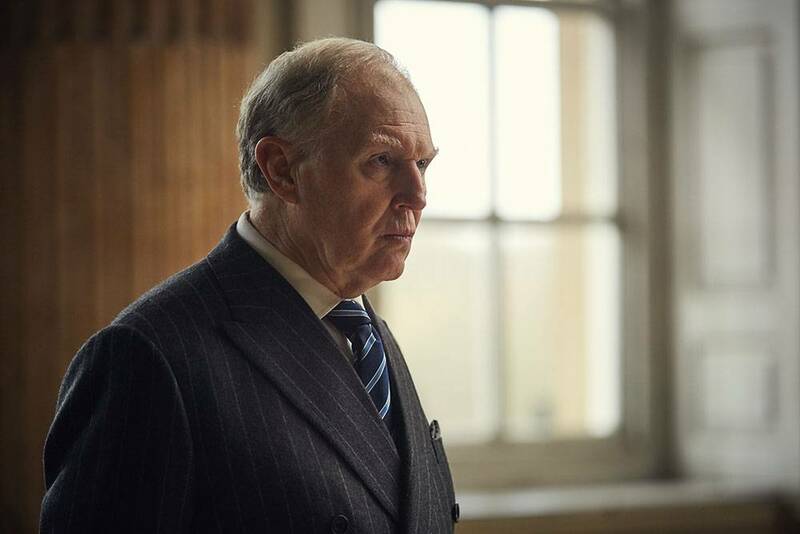 MASTERPIECE presents an adaptation of the Tony®-nominated hit Broadway show King Charles III, starring Tim Pigott-Smith (The Jewel in the Crown, Downton Abbey) as Prince Charles after his accession to the throne, sometime in the years ahead. King Charles III is a co-production with the BBC and airs on MASTERPIECE in a single 90-minute production on PBS in 2017. Daringly scripted in blank verse by Mike Bartlett (Doctor Foster, Doctor Who) and directed by Rupert Goold (The Hollow Crown), King Charles III focuses on the crisis-strewn transition of power after the eventual death of Queen Elizabeth II, currently the longest-serving monarch in British history. For his part, Charles is the longest heir-in-waiting ever, and Bartlett envisions the turmoil that rocks the monarchy when his turn finally comes. Also starring are Oliver Chris (Breathless) as Charles’s heir, Prince William, Duke of Cambridge; Charlotte Riley (In the Heart of the Sea, Peaky Blinders) as William’s bride, Kate; Richard Goulding (Ripper Street) as Charles’s younger son, Prince Harry; Tamara Lawrance (Undercover) as Harry’s love interest and self-proclaimed revolutionary, Jess Edwards; Margot Leicester (MI-5) as Charles’s doting wife, Camilla; and Adam James (Grantchester, Doctor Foster) as the polished British prime minister, Tristan Evans. King Charles III is a Drama Republic production for BBC and MASTERPIECE. The screenwriter is Mike Bartlett and the director is Rupert Goold. The executive producers for Drama Republic are Greg Brenman and Roanna Benn, alongside Mike Bartlett and Rupert Goold, and Piers Wenger for the BBC. The executive producer for MASTERPIECE is Rebecca Eaton.